Page updated Feb 20, 2019. First published Feb 6, 2019. Complete Thermogenic Stimulant Free is a weight loss supplement that increases fat burning and body temperature without flooding your body with stimulants. This sounds good, but can any fat burner really work this way? And does this one work? We find out. Bulk Powders is a British company based in Colchester Essex, but dealing exclusively online. The company has won business awards and is a member of the European Specialists Sports Nutrition Alliance (ESSNA). Bulk Powders Complete Thermogenic Stimulant Free is a fat burner that does not come with the usual addition of stimulants like caffeine. Instead, the fat burning firepower is provided by TTA (Tetradecylthioacetic acid), a synthetic compound classed as an omega 3 fatty acid. This looks extremely promising as a weight loss ingredient but it is important to know that it has not had much clinical testing carried out on humans despite some positive testing on rats and mice. To use this supplement you need to take 6 capsules a day. What Are The Side Effects Of Bulk Powders Complete Thermogenic Stimulant Free? Potential side effects may include abdominal cramps, gas, fatigue, diarrhoea, nausea, insomnia, high blood pressure, changes to blood sugar levels, and headaches. How Much Does Bulk Powders Complete Thermogenic Stimulant Free Cost? Buy from the Bulk Powders website and one bottle of 180 capsules (1 month’s supply) costs £24.99. The website offers a discount code of 40% on products over £20.00. Shipping costs £2.49 to the UK with free shipping on orders of over £49.00. Complete Thermogenic Stimulant Free is available to overseas customers, but international delivery is expensive and costs anything from £4.99 to £14.99 for Europe and £7.19 for Canada. Shipping to the USA and Australia is not available. You can also buy Complete Thermogenic Stimulant Free via Amazon UK where one bottle of 180 capsules costs £24.99. Delivery is free with Prime. Complete Thermogenic Stimulant Free is marketed as a fat burner but in our opinion, the key fat burning ingredient, TTA, requires much more evidence before it is proven to work, so there are no guarantees that this supplement will work as described either. The other ingredients look OK, but will probably be more suitable for people who workout rather than just want to lose weight. L Carnitine may help build muscle and green tea minus caffeine may be effective when used with resistance training but otherwise, we cannot see it doing much. Overall customer opinion is not very positive. Some customers have felt that this supplement is OK and enjoy the absence of side effects but it does not seem to work very well and even positive comments have not mentioned weight loss. 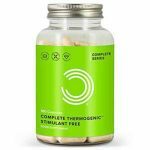 In our opinion, Complete Thermogenic Stimulant Free is too experimental and in relying on a key ingredient that remains unproven, you will be playing the role of the guinea pig yourself. Maybe time will throw up more findings of TTA but until this happens we cannot really approve this supplement. We do not recommend Bulk Powders Complete Thermogenic Stimulant Free to our readers. Most supplements described as fat burners need stimulants in order to increase the metabolism and fat burning. Complete Thermogenic Stimulant Free provides an alternative to this with this supplement. Complete Thermogenic Stimulant Free comes in the form of capsules. 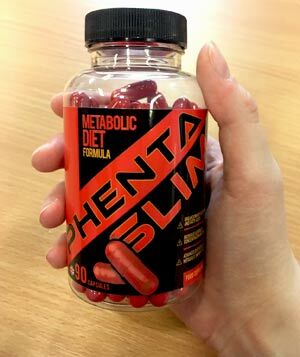 It contains a blend of ingredients including synthetic fatty acid Tetradecylthioacetic acid (TTA), amino acid L Carnitine, and decaffeinated green tea extract. The supplement also contains B vitamins and black pepper extract. TTA is one of the principle ingredients, and we mention it here because it is unusual and relatively new on the supplements scene. TTA is a fatty acid that, according to animal testing, has fat burning properties and helps protect against insulin resistance. Check out the ingredients tab to find out more. We covered this product’s sister product Complete Thermogenic in a previous review, and although we had concerns about the high levels of stimulants, felt it was a good product. You can either use Complete Thermogenic Stimulant Free in combination with Complete Thermogenic, or use as a standalone supplement. There is very little real customer feedback available. Does this suggest that this supplement is very unpopular? Bulk Powders is a British company based in Colchester. The company deal exclusively online with supplements available in the UK and Europe. 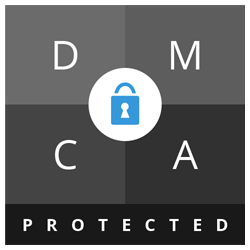 We like that Bulk Powders provides a range of contact methods, including a customer phone line available throughout normal office hours. The company sell a wide range of health and bodybuilder products, including protein powders and sports nutrition. There is also a wide range of health supplements and weight loss products such as this one. What Does Bulk Powders Complete Thermogenic Stimulant Free Claim To Do? Complete Thermogenic Stimulant Free™ contains nutrients such as L-Carnitine, TTA, Green Tea (caffeine free version) and B Vitamins at research proven dosages, with the addition of Bioperine® to increase their bioavailability. You can use it any time of day – even right before bed. 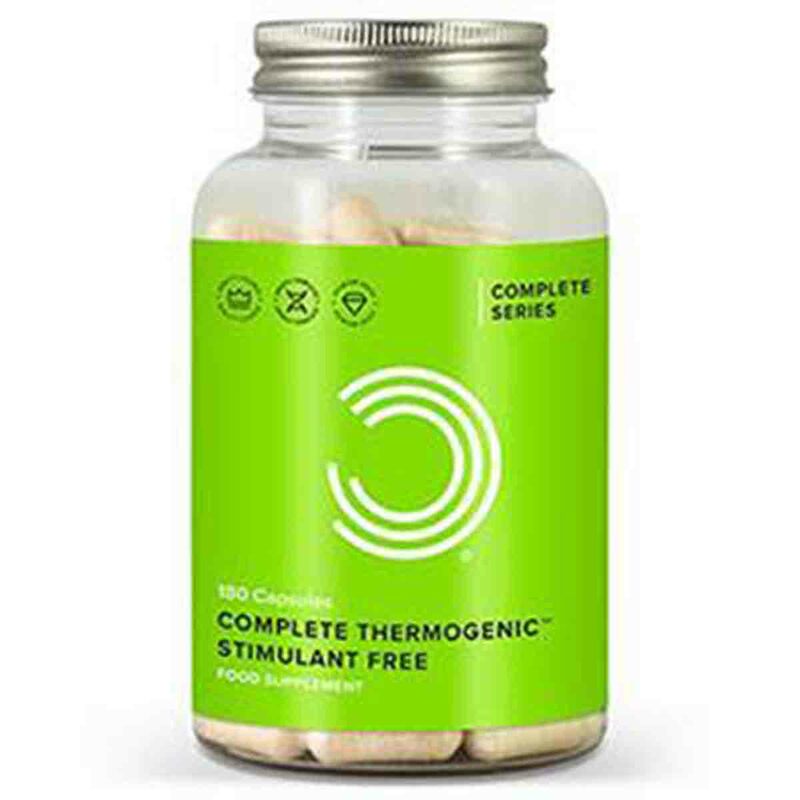 If you are sensitive to stimulants and are looking for a product that you can use at any time of day, then Complete Thermogenic Stimulant Free™ is the product for you. Does Bulk Powders Complete Thermogenic Stimulant Free Work? Complete Thermogenic Stimulant Free may help weight loss in the context of a diet or exercise program, but effects will largely depend on your own physical makeup. L carnitine is an amino acid present in meat and animal products so most people are not deficient, and although it does play a vital role in fat oxidisation, there’s no real evidence that taking a higher dose in a supplement will make much difference to health or weight loss. That said, the elderly and vegetarians may experience positive benefits in muscle building and energy due to their already low levels of this amino acid. What Are The Ingredients of Bulk Powders Complete Thermogenic Stimulant Free? Serving size is equal to 6 capsules which you take over the course of a day. L-Carnitine (1500mg): L-Carnitine is an amino acid, one of the molecules that form protein. It is present in foods such as meat and cheese (proteins!) and also manufactured by the body itself. It is important for health and it helps the body produce energy, as well as being important for brain function. It is often used by athletes and bodybuilders to lose weight, build muscle, and improve endurance. Green Tea (caffeine free version) (500mg): Green tea is high in antioxidants and these may help increase the speed of the metabolism and therefore help healthy weight loss. However, green tea appears to work best when paired with caffeine although using it in combination with resistance training may also give positive benefits. Vitamin B5 ( 190mg): Also known as pantothenic acid, this vitamin is very important for the metabolism and helps the body process carbs and protein, as well as being important for healthy skin. Vitamin B5 is water soluble meaning your body cannot store it; instead, it has to be ingested every day. The serving size here is high. The usual RDA is just 5mg a day for adults (7mg if breastfeeding). Vitamin B12 (600mcg): B12 is important for many bodily functions including healthy blood cells, nerves, and brain function. B12 is available via a healthy diet, but as it is mainly found in animal-based substances such as dairy, meat, and cheese, B12 deficiency can be a problem for vegans or the elderly. The RDA is low but supplements can contain as much as 50mg without issues. Biotin (400mcg): Sometimes known as vitamin B7, Biotin is present in many ordinary foodstuffs including bananas, and is sometimes taken in supplement form for skin and hair issues. Bioperine® (5mg): Branded supplement based on black pepper extract. It can enhance the effects of other ingredients, increasing bioavailability. Does Bulk Powders Complete Thermogenic Stimulant Free Have Any Side Effects? The other ingredients seem unlikely to cause adverse effects. Not suitable for individuals under 18. Avoid if you are pregnant or breast feeding. Check with your doctor before use if you are taking prescription medication or have an underlying medical condition. Are There Any Customer Reviews For Bulk Powders Complete Thermogenic Stimulant Free? There are some customer reviews for Complete Thermogenic Stimulant Free posted on Amazon. Many of these are Amazon Vine reviews. Amazon Vine is run by Amazon and offers trusted reviewers free products in return for a comprehensive review. Only one customer has posted a five-star review, saying “Great” with other reviewers giving the supplement two, three, or four stars. These have a pronounced thermogenic effect and warm you up pretty quickly. So top marks for that. However, I don’t tend to work out after 4pm so I missed having the caffeine here, to be honest. This product contains a stack of energy burning ingredients to give you an edge. But the key ingredient is L-Carnitine which encourages the body to burn fat rather than carbs. If you’re not burning energy anyway that won’t help much so this is very much designed to be used by those who exercise hard and frequently. One customer mentioned it caused gas, saying this supplement was “musical”. If I could be sure it works; it would be good apart from the obvious side-effects! Does Bulk Powders Complete Thermogenic Stimulant Free Offer a Money-Back Guarantee? There is no money-back guarantee beyond a standard 7 days returns policy. You need to contact the company before you send the product back. Returns should be sent to Unit 2, Easter Park, Axial Way, Colchester, CO4 5WY, United Kingdom. Where Can I Buy Bulk Powders Complete Thermogenic Stimulant Free? You can buy Complete Thermogenic Stimulant Free via the Bulk Powders website. Alternatively, it is on sale via Amazon UK. 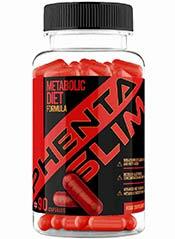 How does Bulk Powders Complete Thermogenic Stimulant Free compare to Phentaslim? The Diet Pills Watchdog does not recommend Bulk Powders Complete Thermogenic Stimulant Free.